I have a photograph, “Shades of Pink,” from Toronto Caribana 2010 that will be a part of the COMPLEXion exhibition in Toronto in October. Details below. WHAT: “COMPLEXion” – a multidisciplinary collaborative exhibition presented by 3MW Collective and Refuge Productions addressing shadeism in communities of colour. Local artist collectives join forces to bring awareness to the issue of “shadeism” within communities of colour through their multidisciplinary exhibition “COMPLEXion”. This spectacular exhibition will feature painting, photography, installation, film, music, dance, and spoken word, all addressing issues of “shadeism”. “Shadeism” (i.e. colourism) is a form of prejudice or discrimination in which people are treated differently based on a range of social meanings attached to the shade of their skin colour. 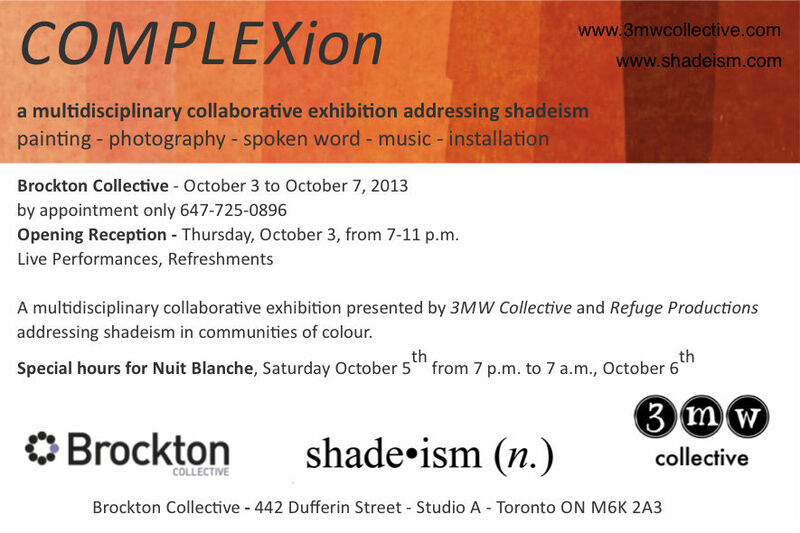 In collaboration between the 3MW Collective and Refuge Productions, COMPLEXion will share multiple stories related to shadeism, from a wide spectrum of people of colour expressed through a variety of mediums including, visual art and installations, music, film, and poetry — together producing a complex and powerful visual and emotional experience. The exhibition will also be part of Nuit Blanche, Saturday October 5th from 7 p.m. to 7 a.m. The opening reception will take place on Thursday, October 3, from 7-­11 p.m. I won’t be able to make it to the exhibition itself, but it will be worthwhile to catch it if you happen to be in Toronto. Also, some of the works will be on sale. 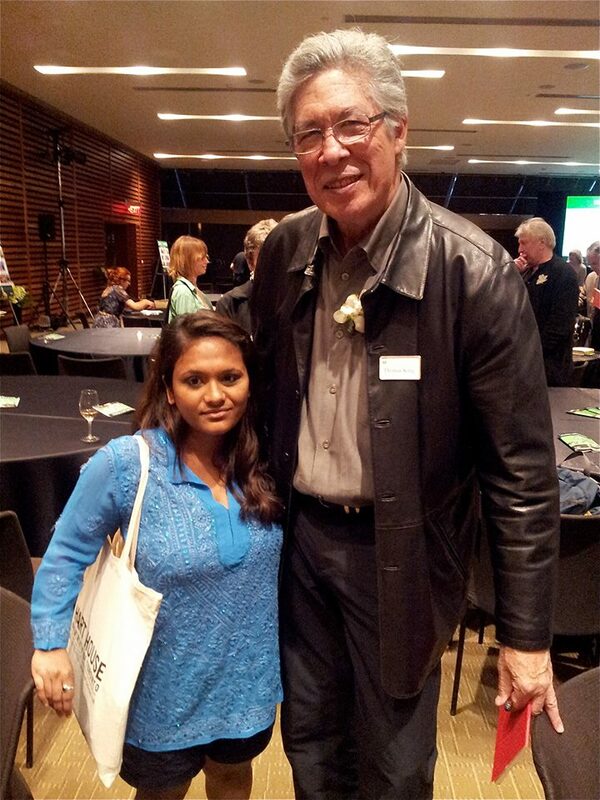 Thomas King and I, Luminato event, Toronto, June 2013. This is a photo I should have put up earlier. He said something about his wife being tiny, but me being tinier than his wife. Sigh. Taken at a Luminato event featuring Trillium Book Award finalists at the Toronto Reference Library. *Because we are on a first name basis now. Yes, it’s true. 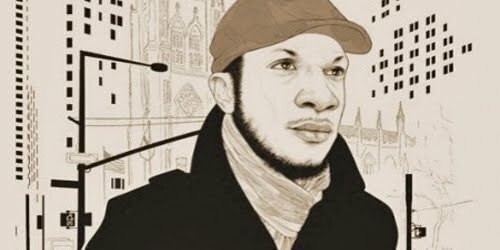 I had breakfast with Teju Cole. But of course, like every life changing event (because yes, it is indeed a life changing event for an aspiring writer to have a meal with a world famous writer), this one had a series of causalities that led up to it. For one, I happened to be in Kingston this year because I am a student at Queen’s University. Two, I am at Queen’s because I decided to do a second Master’s. I mean, how many people do you know who willingly signs up for a second Master’s? Exactly. Three, I am friends with Bilan Hashi, whom I had met with as a consequence of her being a student in my program at Queen’s. Four, Teju Cole happened to be in Kingston this particular year for the Kingston Writers Fest. And five, both Teju Cole and Bilan happen to follow each other on Twitter. Of course, Bilan may have never actually messaged Mr. Cole to meet with aspiring writers like herself and her friends (like me) if one of her acquaintances hadn’t done the same with Junot Diaz. Which had worked. Because not all famous writers were stuck up people and actually cared about meeting other writers-in-progress. Hmmm. Who knew? So, this was the morning of 27th September. Bilan and I are in the lobby of Holiday Inn on the waterfront. We have a breakfast appointment. With Teju Cole. It’s 9:30. We are on time. I haven’t had more than an hour’s sleep the night before on account of Foucault but had dragged myself out of bed at 8:00 because you didn’t miss these once-in-a-lifetime opportunities unless you were stupid. There is a round of hellos and handshaking and introductions. We are about to head into the hotel restaurant when we are stopped by none other than Michael Ondaatje. Was that a sharp intake of breath? Hold on. There’s more to come. “Teju. We are leaving at ten,” he says. He is talking of their drive to Toronto that morning. Teju leaves on a plane to New York later that day. “Ten? Can we leave at 10:10? Or, 10:15? I was going to have breakfast with my friends,” and here, Teju introduces us, “Sanchari and Bilan”. We shake hands with Mr. Ondaatje (while slightly in awe, if I may add). “You can have 10:20,” Mr. Ondaatje smiles. We walk into the restaurant, take our seats, and order coffee and breakfast. While Bilan goes for pancakes and I for a garden omelette with fries, Teju settles for a croissant. The conversation is organic. We discuss our research interests. Bilan talks of her experience of living the underground life in Jeddah, to which Teju makes up a first line of a possible short story where the narrator finds herself snorting coke with a mother of three in Jeddah. We laugh. He shows us Variations on the Body by Michel Serres, a book he is reading at the moment. He tells us about how he quit his doctoral degree halfway through just to finish his novel. We talk of (Jhumpa) Lahiri, who he’s friends with, and whom I admire. Then he follows me on Twitter right in front of me. And soon, the half an hour is up and I have forgotten the questions I had planned to ask him. He had not at all been what I had expected. Friendly but not superficial. Intellectual without being pretentious. Before we can protest, he has paid for our breakfast and scampered away with an impish smile. For a few seconds, Bilan and I are in a daze. We solemnly agree that yes, we can now successfully cross ‘having breakfast with Teju Cole’ off of our bucket lists. Like it’s no big deal. Yup, none at all.